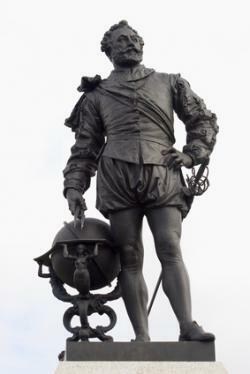 September 26 marks the anniversary of Drake’s 1580 completion of his circumnavigation of the globe, the first Englishman so to do, reason enough to celebrate him as a British hero. We like our heroes less than perfect, and Drake fits that mould perfectly: it was Drake who ‘singed the king of Spain’s beard’ at Cadiz in 1587, delaying the Armada a year; Drake who was the first Briton to see the Pacific and possibly reach Alaska; but he was also a slaver, and a pirate – though sometimes government-sponsored. That he remains a British hero shows his impact on our national self-image as a seafaring people, world traders and fighters not afraid to face the most formidable enemies.